Find all the recipes in the game. Find all the Ancient Turtles. Travel to all the areas of Aquaria. Find all the health eggs. 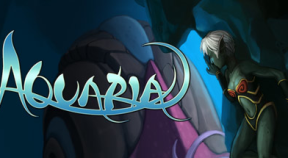 Learn all the songs in Aquaria. Enter the belly of the Whale. Rescue all the lost souls. Ride Ekkrit for a minute. Devour 6 creatues in a row. Beat the Arnassi race in less than a minute.